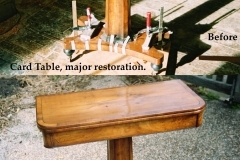 There are few aspects of restoration that we cannot help you with at Ian Ellis Antique Restoration and French Polishing. 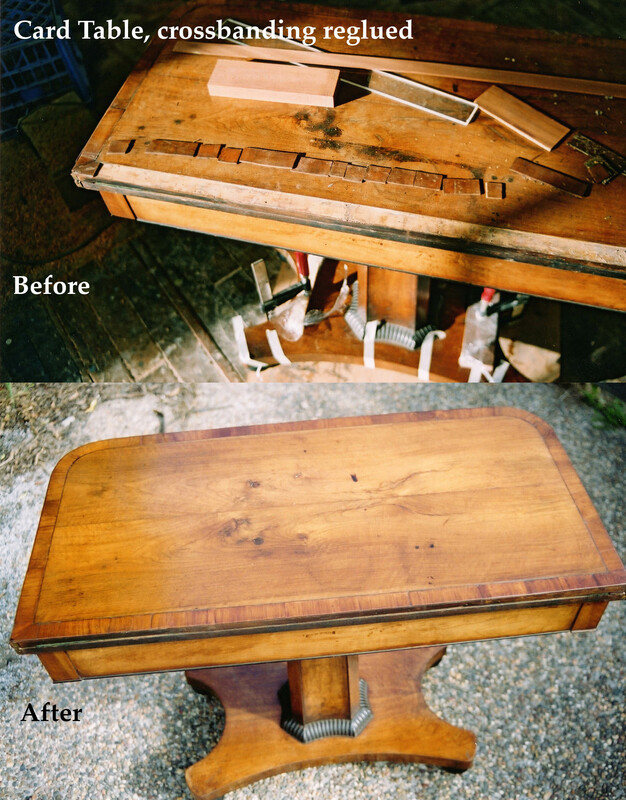 From white ring mark removal on a polished surface to full rebuilds of period Antiques. 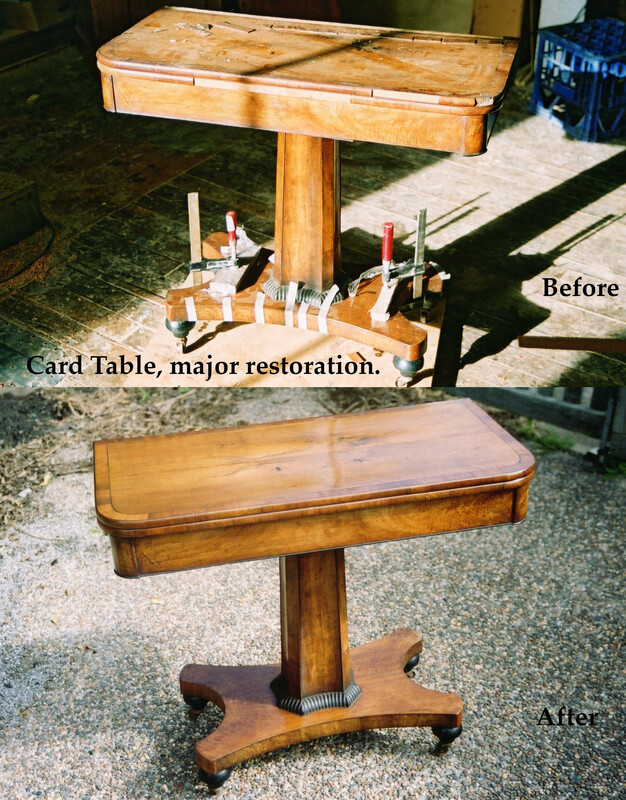 Keeping that perfect patina or making it look like new, we can cater to all your requirements of Antique Restoration. Major restorations, missing mouldings, damaged carving, gilding touch ups, handles missing, both metal and timber. 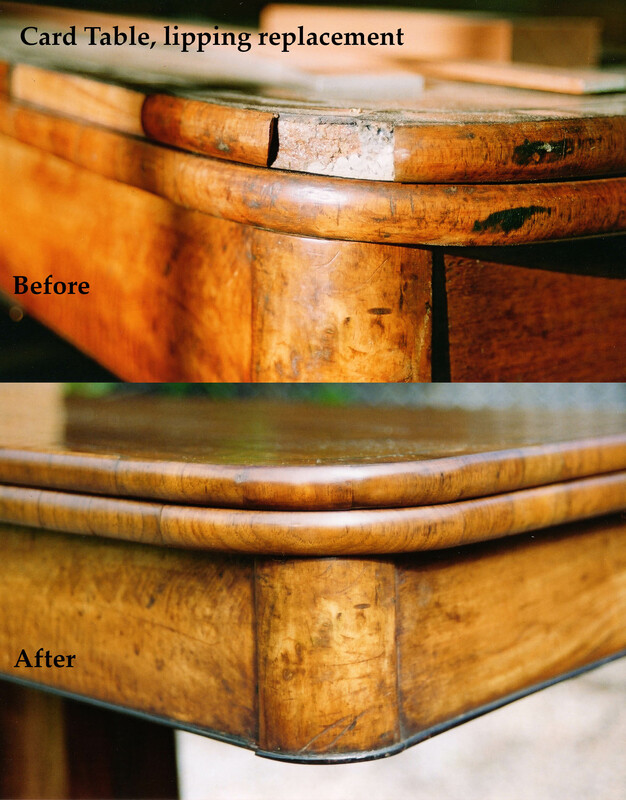 We can revive the surface of the furniture (clean), or hand strip and traditionally French polish the piece using Shellac, or a sprayed lacquer. 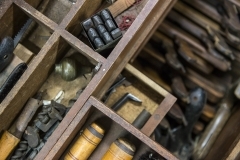 The art of restoration is a tricky business. You need to have a broad skillset and be able to work in the many different aspects of furniture making. 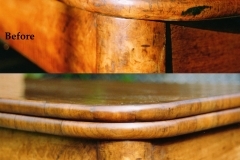 Such as cabinet making, woodturning and carving. 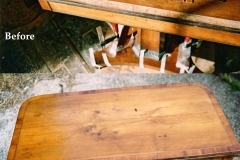 You also need to be able to finish timber and colour match, from a traditional French Polish to modern lacquers and polyurethane spray finishing. Then there are the painted finishes and gilding. The list goes on. Most importantly you need to be able to listen. 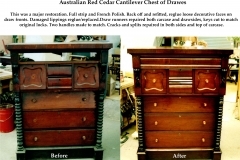 Listen to the client as to what they want the antique to look, what they like, and don’t like. Are we restoring to new, or are we sympathetically keeping the age and patina. Is there a focus on the value of the piece, functionality or a combination of both? 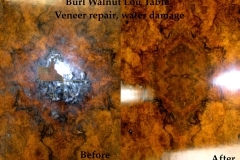 I see restoration as a collaboration between the client and myself as how best to complete the restoration to suit the clients needs. 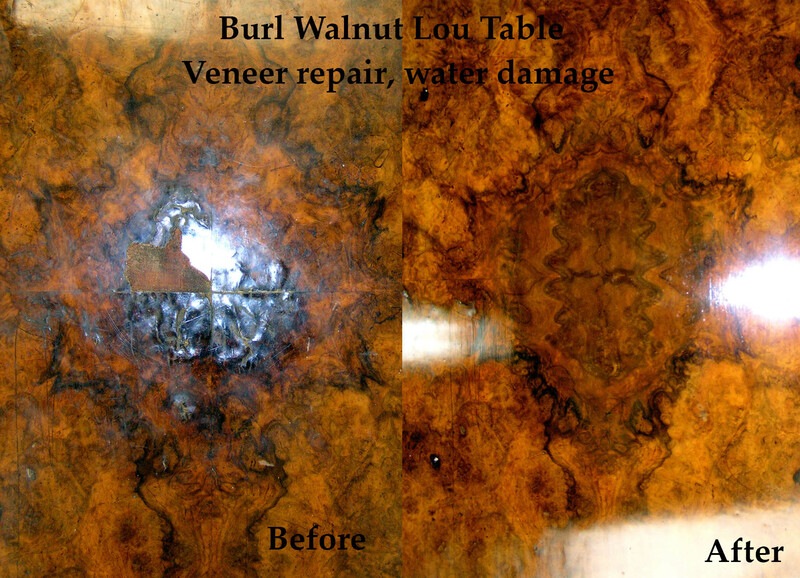 I can advise and explain all aspects of the why and how to repair and refinish. At the end of the day you as my client have to be happy with the result. 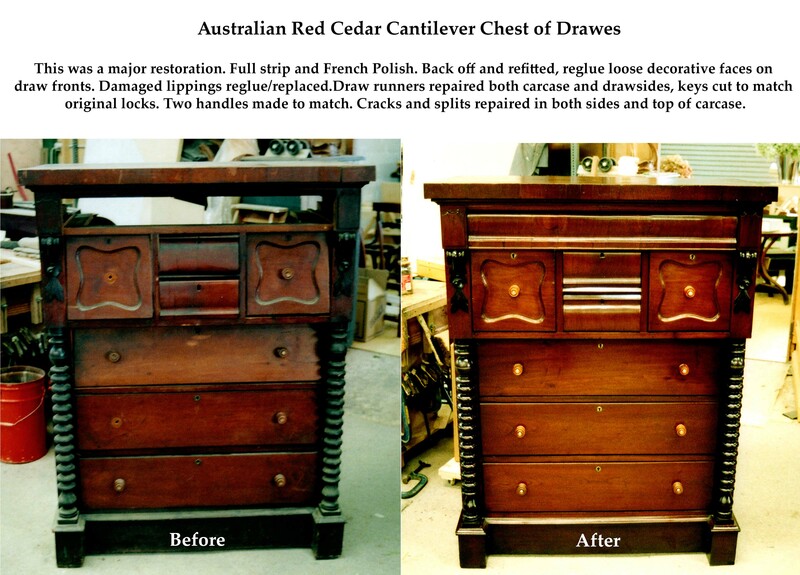 Feel free to give me a call to arrange a time to have your most loved Antiques cared for by understanding hands.